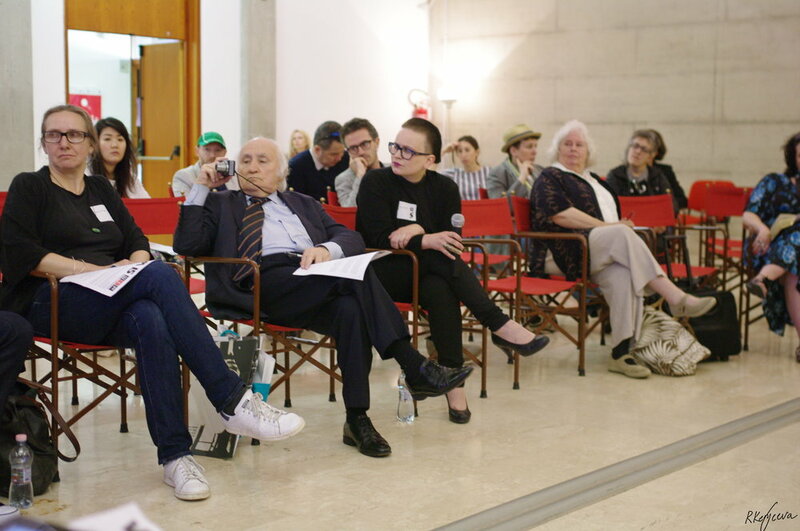 Venice Agendas 2015 was a programme of breakfast events and performances, curated by workinprogress, during the preview week of the 56th International Art Exhibition, La Biennale di Venezia followed by a series of outcome events that take place internationally throughout 2015. The theme for this edition is Crossing Boundaries; an open brief, which considers the many ways art not only trespasses geographical territories but how it crosses cultural, political and artistic boundaries. Moderators JW Stella and Mark Waugh. The discussion considered identity, do artists belong to one culture or are they citizens of the world. There has always been an appropriation of artist’s heritage, but does art and culture belong to everyone? Debate asks questions about statehood, effects of global migration on cultural boundaries, and if it matters where you are from? CLOSED BORDERS: WHOSE BOYCOTT IS IT ANYWAY? Recent questioning of geographical boundaries globally, both democratically and by force, and the withdrawal of support by some European countries for various International artists and institutions act effectively as a boycott with cultural events being altered by political agendas. Is this a genuine support for civil rights or a convenient way for governments to play politics with culture; a boycott as a medieval throw back to the days of blockades and siege. What is a boycott for, who is meant to benefit, who is meant to suffer? Tatsumi Orimoto, drawing performance – Breadman Paints Lies. Artist and performer Kimbal Bumstead performs This Island of Me, tales of migration and the imagined.